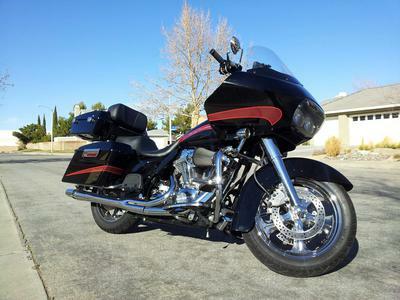 The 2007 Harley RoadGlide for Sale by owner has 18" Performance Machine chrome wheels, Screamin Eagle Heavy Breather Elite Performance air cleaner, tour pack, traction bar, upgraded speakers, a navigation system and a chrome front end. 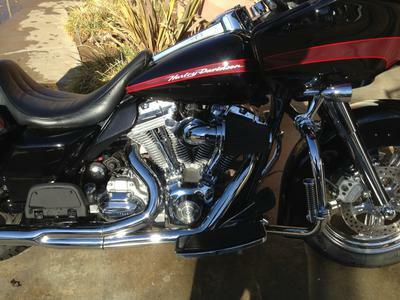 This is one NICE motorcycle with LOTS of extras and upgrades! 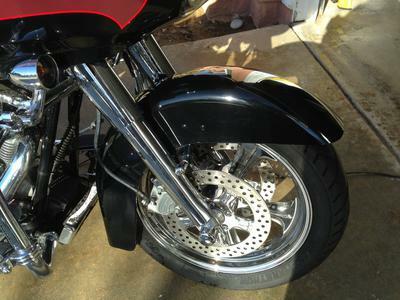 Anyone with something to say about this bike or the upgrades and aftermarket parts listed can use the comments form below this ad to write a review or voice any opinions that you may have on its reliability, performance, problems or where to find used Harley parts that might be used to make repairs or maintenance procedures more inexpensive. Thanks for visiting GoGoCycles Used Motorcycles for Sale and for your interest in the 2007 Harley RoadGlide for Sale by owner. 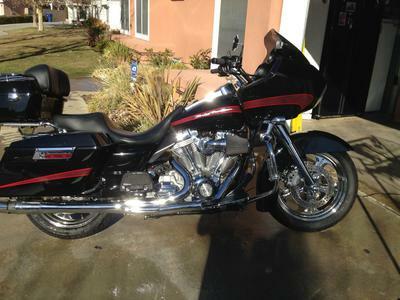 The location of the 2007 Road Glide for sale is Palmdale CA California and in my opinion my asking price for it will be difficult to beat on Craigslist or on Ebay; CALL ME! If you want to take a look or have questions, call me (NO EMAILS) at 661-433-7six09 for more details or to request picture and don't forget to mention that you found this ad on GoGoCycles Used Motorcycles and Parts for Sale www.gogocycles.com.